Help us pick the readers' choice selection for our TV Roundtable series! Our TV Roundtable series, in which several of our TV Club writers are discussing classic TV episodes revolving around a certain theme, is reaching the end of its first “season,” and we need your help in choosing a readers’ choice episode. The theme of our first series of articles has been adolescence, and while we’ve considered it from a variety of angles, we haven’t considered it from all of them just yet. Maybe you know just the episode we should look at. As such, post your adolescence-centric episode in comments and make your case for why we should include it. We’ll pick our 10 favorites and let you vote in a poll to pick the one we cover, starting on Monday. The choice will be announced a week from now. Preference will be given to episodes that haven’t already been covered in TV Club before, but if you simply must see what we’ll have to say about a particular Buffy or Friday Night Lights episode, go ahead and toss it on the stack. 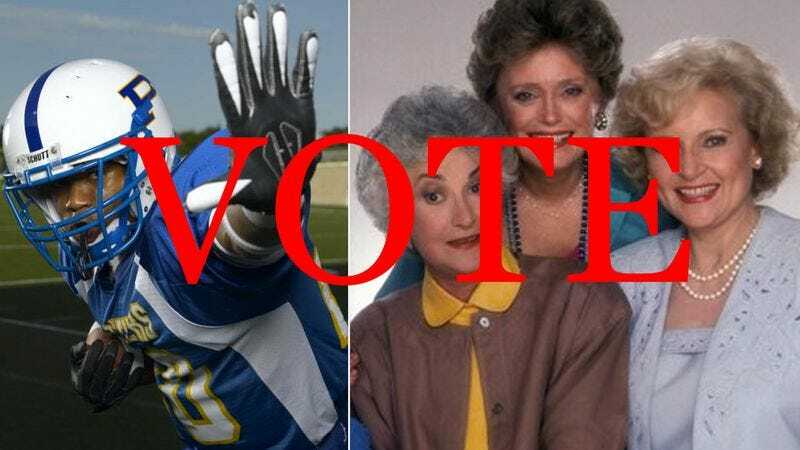 (Then again, we never did cover season one of FNL…) The episodes can be about any aspect of adolescence, but if you’re nominating an episode of, say, The Golden Girls, we’ll be extra skeptical, so make your case airtight. Nominations are now open, so get to it!